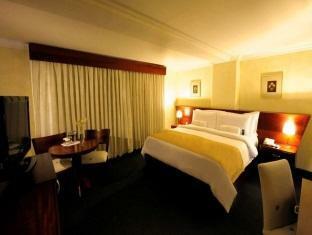 ﻿ Best Price on Hodelpa Gran Almirante Hotel in Santiago De Los Caballeros + Reviews! Have a question for Hodelpa Gran Almirante Hotel? 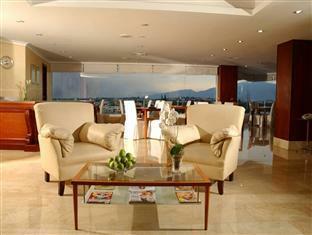 Conveniently located in Santiago, Hodelpa Gran Almirante Hotel is a great base from which to explore this vibrant city. From here, guests can enjoy easy access to all that the lively city has to offer. For sightseeing options and local attractions, one need not look far as the hotel enjoys close proximity to Gurabito Country Club, Baseball Field, Cibao International Airport. 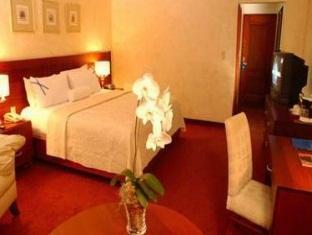 Hodelpa Gran Almirante Hotel also offers many facilities to enrich your stay in Santiago. A selection of top-class facilities such as 24-hour room service, free Wi-Fi in all rooms, casino, facilities for disabled guests, Wi-Fi in public areas can be enjoyed at the hotel. The hotel features 155 beautifully appointed guest rooms, many of which include television LCD/plasma screen, carpeting, internet access – wireless, air conditioning, wake-up service. Besides, the hotel's host of recreational offerings ensures you have plenty to do during your stay. Whatever your reason for visiting Santiago, the Hodelpa Gran Almirante Hotel is the perfect venue for an exhilarating and exciting break away. The hotel is mostly fine. Rooms spacious, clean and facilites good. The restaurant is limited more of an open bar area than a formal restuarant. Water in the bathroom is another matter. While showering the water varied from hot to cold ad twice ran out and stopped only to come back later. 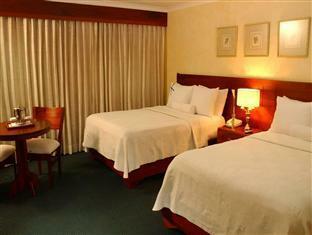 The hotel benefits from being the best hotel in town with a central location. If another was built the El Gran Almirante would lose business. Dear Chris Thank you for your comment on your stay at Hodelpa Gran almirante We sincerely apologize for the inconveniences you describe in your review and we certainly look into them to make sure they will not happen again, now we do not have any problem with hot water. Our Company strongly believes in providing the best customer service to our entire client. We do hope that you will give us a chance to welcome you in the near future. Regards, Hodelpa Gran almirante Management.